Call Today for a Consultation Regarding Your Computer Needs! 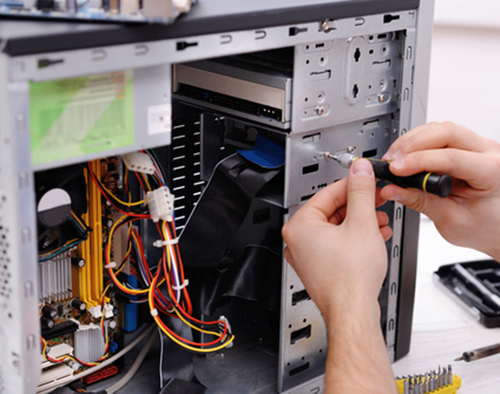 Hanner Computer Services is your go-to provider of computer repair and maintenance services. From virus issues to software updates, data backup to network troubleshooting and beyond, we’ll assist you in keeping your computer running safely and smoothly. Contact us today for a free estimate on computer service! For complete PC repairs, maintenance, upgrades, troubleshooting and more, Hanner Computer Services is here to assist you. For decades, we’ve been the number one destination for computer repair in Asheboro, NC, delivering tailored solutions to our customers in their time of need. We handle all major facets of computing issues, including but not limited to: virus removal, PC service and repair, software troubleshooting, data backups and recovery, and even custom PC builds. No matter the nature of the computing problem on your hands, hardware or software in nature, we provide results that help our customers get back to living and working in the digital world! At Hanner Computer Services, we work to make PC repair in Asheboro, NC flexible. Any major repairs are performed in-shop by one of our experts, to assure quick turnaround times and complete accountability by our team. For smaller repairs, we can even come to your business for quick fixes. Dropping off your computer for service? We’ll even deliver it back to you directly, to save you another trip! Everything we do is with customer satisfaction in mind, and we strive to do business in a way that earns your appreciation and trust. The next time your computer is acting up or needs service, don’t think twice about choosing us—we promise you a stellar experience with superior results. Owner/Operator Chuck Hanner is Microsoft Certified. We proudly offer a 30-day warranty on virus removal services, to ensure your complete satisfaction. Our business is affiliated with the Better Business Bureau (BBB) and maintains an A-plus rating. We’re well-known for offering customers a high standard of service and satisfaction! We offer free estimates on all of the services we offer, so you know upfront the cost of repair or maintenance. Virus making your computer unsafe? Bloatware causing it to run slowly? Updates needed to keep it current? Whatever your computer needs, we’re here to deliver it! Contact us today.